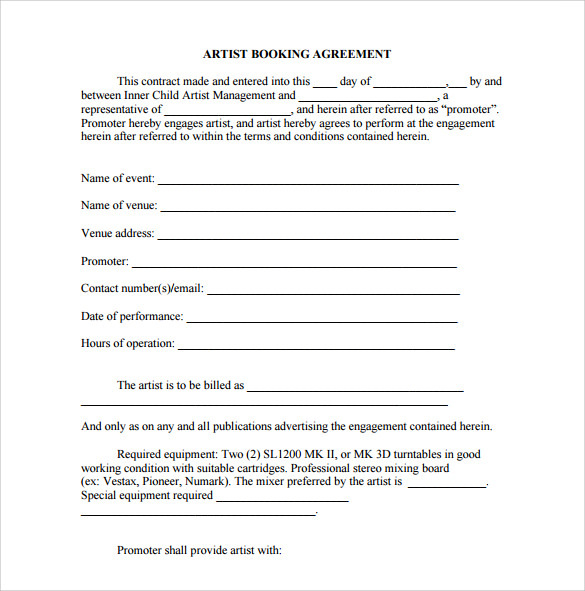 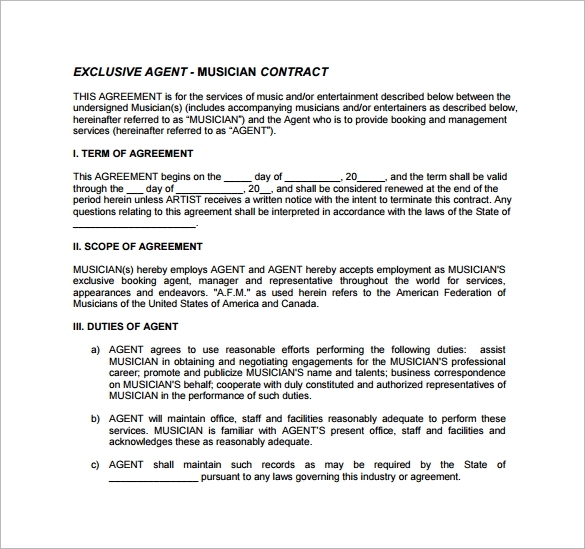 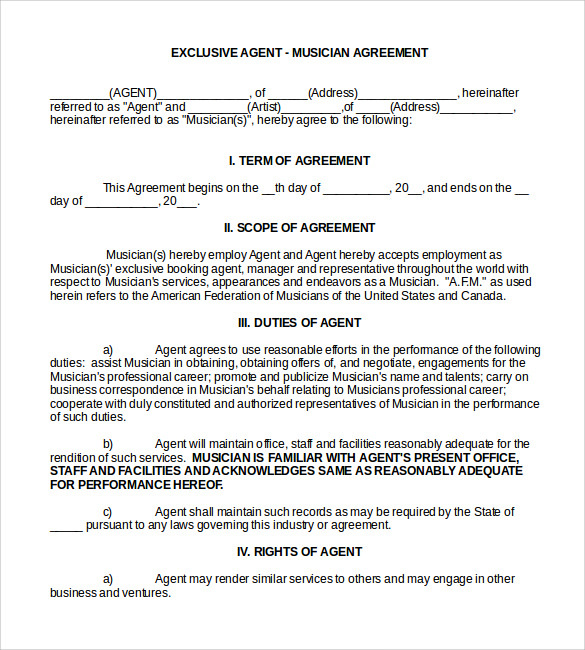 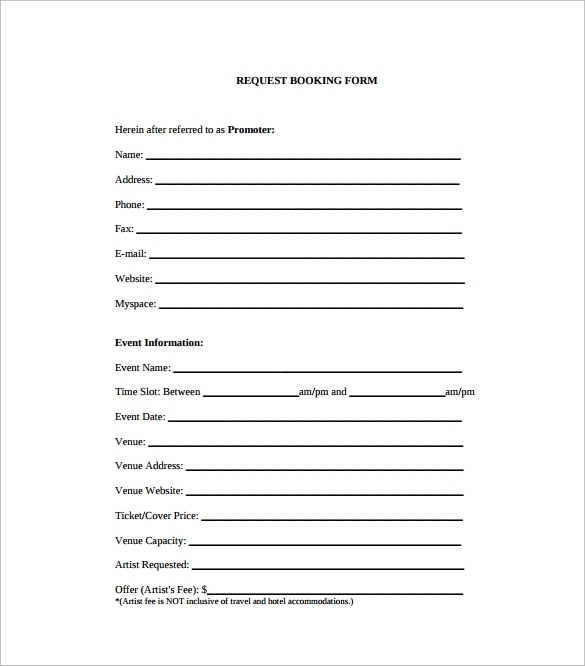 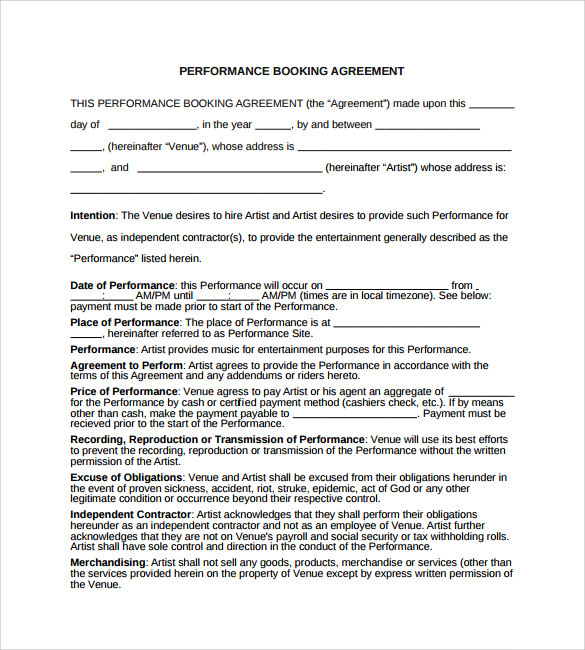 The booking agent contract is made during this month. 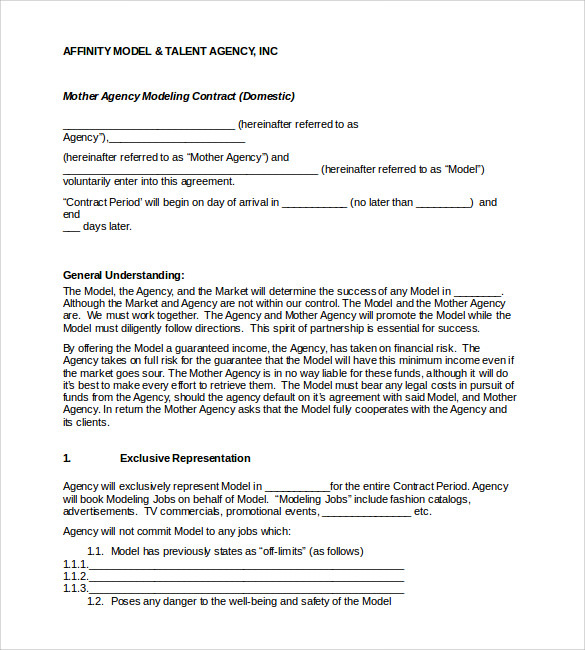 It is between ABC company and XYZ company. 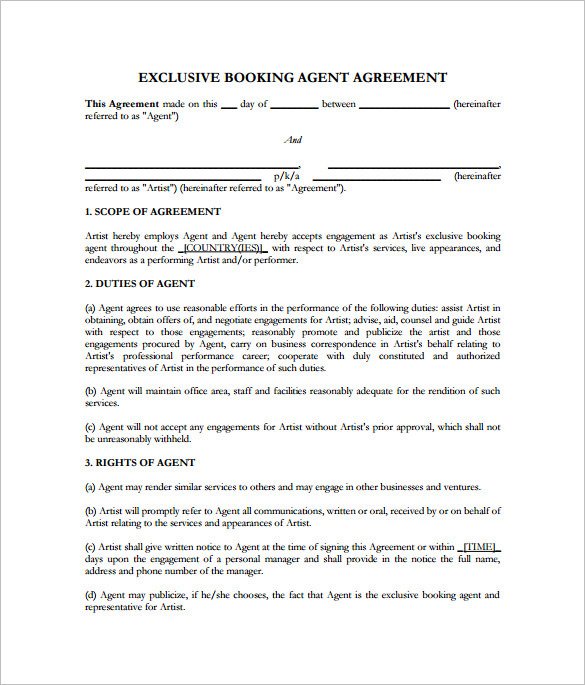 Both of the parties are bound to collaborate with each other during the agreement. 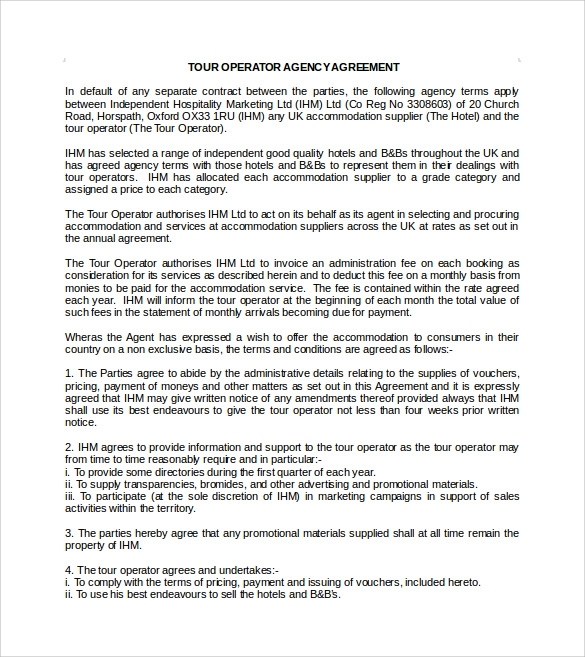 It is mandatory that none of them breaks the rules otherwise the other party is free to take legal action. 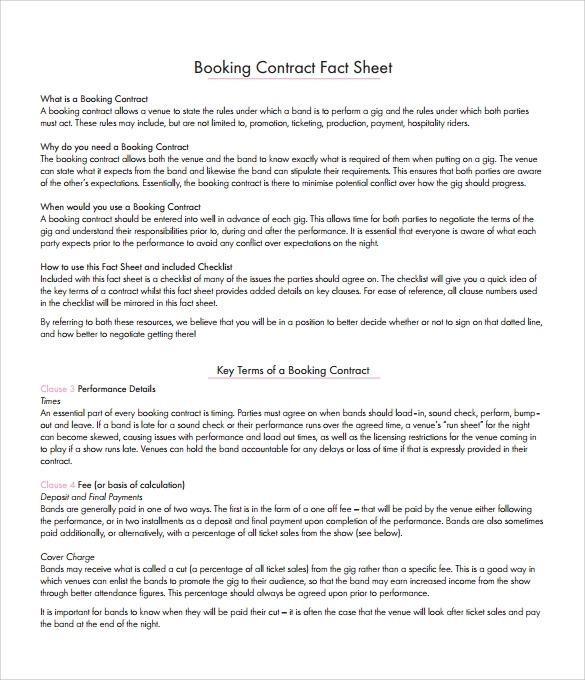 On the othe hand, if changes are considered to be needed then one party has to inform the other so that both can mutually decide about what changes should be made in the booking agent and Artist Management Contract. 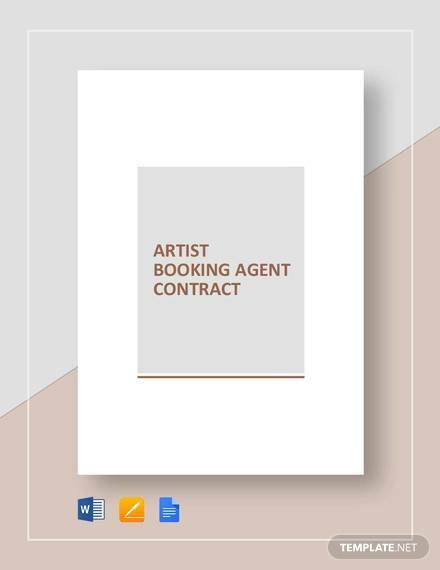 At the same time, the provision of quality booking agents as well as their exchange would be an ideal option.